16 February 2012, Singapore – Toshiba’s latest product, the 10.1″ REGZA Tablet AT200, is claimed to be the world’s thinnest (7.7mm) and lightest (535grams) 10.1″ display ANDROID tablet available today. The AT200 comes with all essential interfaces and ports packed in that thin magnesium casing, like the micro-USB, micro-SD and a micro-HDMI-port which allows streaming HD content to your TV. Sound system is also not compromised, the AT200 comes equipped with stereo speakers tuned with sound enhancement technologies from Toshiba and SRS Labs to deliver a richer and more natural sound experience on the go. The AT200 also allows up to 8 hours^ of video playback it’s 10.1″ high-definition Gorilla glass display. 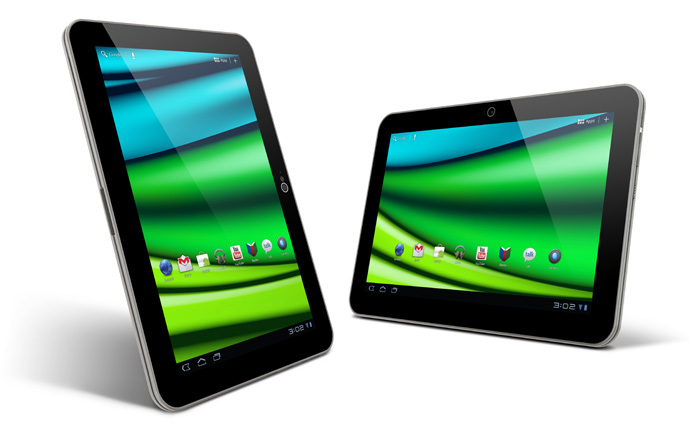 The Toshiba 10.1″ REGZA Tablet AT200 will be available at all authorised resellers and shopToshiba outlets in Singapore from end February 2012, priced at S$849.